About Junk Shares in India | Junk Shares India. India Inc in last 30 years has witness about 25000 vanishing companies whose shares are De-listed and/or Not Traded on the bourses, most of these companies have closed operations or just vanished,which has eroded shareholder’s wealth valuing over Rs. 1 Lakh Crores / Rs 1 Trillion by a conservative estimate. This Website has successfully helped many shareholders to realized value from these Junk Shares. Many Buyers are permanent followers/members of Junk Shares India who give and take offers from the junk share holders. To find out the buyers for your shares please visit above Option: “Buyers”, or in the menu under “Categories” on the right hand side column of this site. In case if you are holding Non-traded, De-listed, Ill-Liquid, Junkshares and would like to dispose-off and realize some value then you may post them on this website.Instructions of posting the same on this website are given below. Similarly if you are a interested buyer and looking for a hidden treasure or a probable ‘multi-bagger’ then to find out the sellers for any share which you are looking for, you may please visit above Option: “Sellers”, or the menu under “Categories” on the right hand side column of this Site. How to find out a Buyer/Seller of a particular Scrip on the Website ? To Find out the Buyers/Sellers of a particular scrip, please enter the name of the Scrip in the Search Box provided at Right-hand Top of this page and click “GO” button near the Search Box, the search result will land you to all the specific postings of the Buyers/Sellers of the scrip which you have entered. You may post your Buy/Sell List of the Junk shares directly on this Site. 1. By entering “Comments” available at the begining of every post. 2. Enter/Copy Paste the list of Shares in the in the Contact Form appearing below on this page. 3. Mail me your list of shares at contact@webkraft.co.in . Also please mention the Place where you are located e.g. Mumbai, Kolkata, Delhi. Your Website If Any ? To follow this Blog please subscribe. However before taking a decision to Buy/Sell,its in your interest to know the current status of the company in which you are holding these Junk shares and the said status could be found by visiting the following Websites Links. Company Name Change List by Sharekhan. Company Name Change List by CDSL. Company Name Change List by BSE. BSE: List of Suspended Companies. BSE: List of Merged Companies. BSE: List of Delisted companies. Open Corporate Database Listing All Companies in the World. From today i.e. 29 May 2013, we are starting a New Category “Companies Under Liquidation” investors and interested buyers are requested to take a note of the same. Buyers and Sellers transacting directly with each other, are allowed to do so, at their own risk. www.Junksharesindia.wordpress.com nor its Author Mukund Kini is responsible for any trade or disputes arising out of these trades. This blog www.Junksharesindia.wordpress.com is only a service to the Investors and does not have any interest, monetary or otherwise in any such transaction arising out of the readership of this Blog. best site for those investers who are not getting any information of old physical shares. Buying in following scrips,please contact at the given number. Buying the shares of Delhi Flour Mills Limited & Studds Accessories Limited. Please contact if you have any quantity. 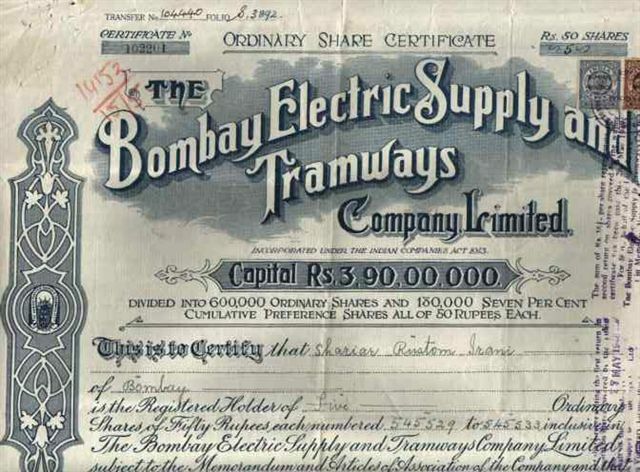 sir my belongingness have some very old shares approx 1935 in india , the share holder and their son have died, can grand son claim for that shares and what is the process if share certificate is missed? grand son claim about shares.. send me list of these shares that i can understand how much it is meaningfull to claim..
grand son claim about shares.. send me list of these shares that i can understand how much it is meaningfull to claim..you can mail me.. Yes The Grandson can claim & if the share certificates are missing that also can be obtained. you can call me at 9 8 1 0 0 6 3 6 9 6 or send me an email at vmcsr at hotmail dot com & yes as Mr Mukesh rightly stated – one should ascertain value before going in for such work as court expenses would be over or around Rs.1 lac of which Rs.50000 would be court fees only. I have some company old shares Certificate Or Bonds. This company Suspended,Delisted or Company name change i dont know exactly. So what do you want to do with it ? Of the physical junk shares we hold. But all emails are being returned. Undelivered. Tmb also good for invest.